Review for Invincible, Invincible is a powerful program that will make you unstoppable with women and more. 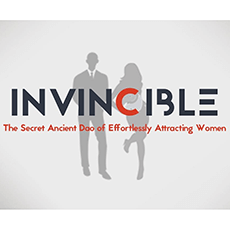 "Invincible is a powerful program that will make you unstoppable with women and more." Invincible is so much more than some 'how to pick up chicks/dating program.' This program is about creating a better more unstoppable you, that attracts women and even opportunities to you. Powerful!